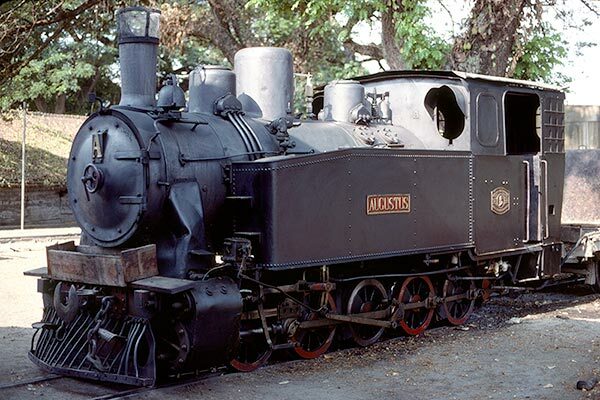 Caption - The Cepu Forestry Railway on the island of Java (Indonesia) was a charming 1067mm gauge system. They had four very handsome 0-10-T's including A "Augustus" which was built by Schwarzkopf (9408/1928). Note the beautiful worksplate on the cabside. Operations at this railway were somewhat intermittent and depended on the supply of lumber that needed bringing from the forest.